“In 4 months of using Revvim, our traffic and revenue were up a staggering 35%. Shift your SEO into high gear! 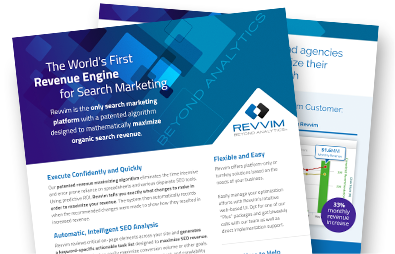 Request a demo today and see how Revvim can accelerate your revenue and organic search rankings! Sorry, but there was an error processing your request. Please try again. If the problem persists, please email us at support@revvim.com.